As a city which has 345 islands - small islands, the coast is a major tourist attraction on offer. 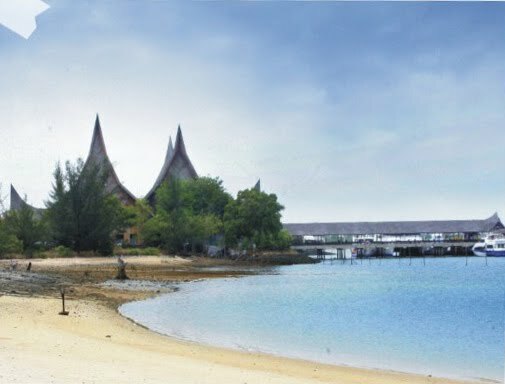 Marina Beach, you will not only be mendapatakan panoramic view, but also a calm sea waves will cause the atmosphere to relax while swimming, sand play, and perform a variety of water activities. Marina Beach is located in the integrated resort Marina Water Front City. In this area there are famous and luxurious resort in which there are sports games. For those of you who hobbyist bowling, gocart, and aeromodeling can also practice on the track that has been provided. That is no less exciting, you can sample a variety of fresh seafood dishes cooked with seasoned chef recipes. Some seafood to the menu cuisine Batam. Fish, shrimp, crab, squid and other marine hewat obtained from the fishermen in the vicinity of this tour.